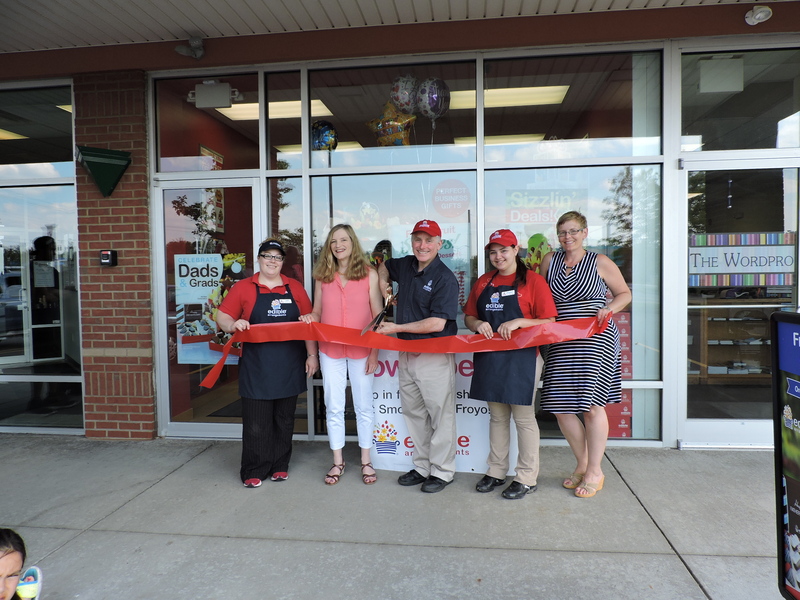 On Monday June 12th, 2017, The Tompkins County Chamber of Commerce held a ribbon cutting at a new Edible Arrangements location on Triphammer Road. The new Edible Arrangements is owned and operated by Chamber Board member and longtime Ithaca resident and leader Mike Katz. Businesspeople, customers, and employees were on hand for the ribbon cutting ceremony. Edible Arrangements helps people in our community celebrate special occasions with made-to-order fresh fruit bouquets and dipped fruit boxes, and in addition offers a wide array of fresh fruit smoothies, and frozen yogurt. Owner Mike Katz remarked that “it takes a lot of effort to make something like this happen,” and he thanked everyone for all of their support. Edible Arrangements is located at 2300 North Triphammer Road in Ithaca, NY and is open weekdays 8:00am-7:00pm, Saturdays 8:00am-5:00pm, and Sundays 10:00am-3:00pm.